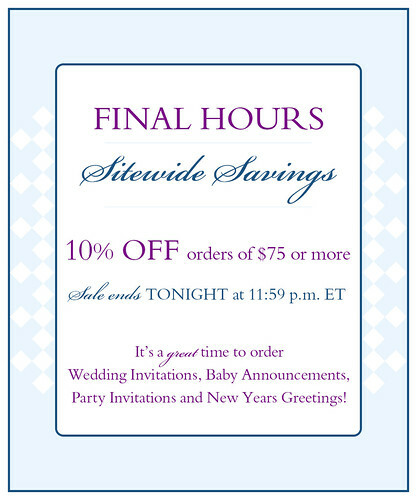 Shop beautiful stationery for correspondence in the New Year, birthday party invitations, shower invitations, wedding stationery essentials and more with sitewide savings at FineStationery.com. The sale ends tonight at 11:59 p.m., ET! Happy shopping!